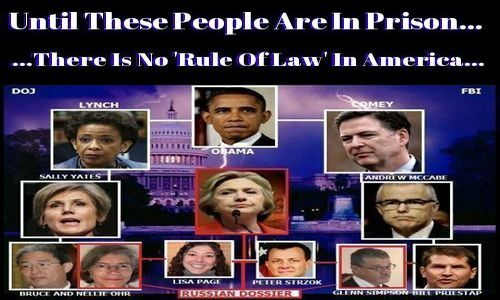 How much do we really know about the birth, upbringing, education, and early career of the politicians and Deep State operatives who rule over us? Of course, anyone can look up any of them on the web, and there will be a Wikipedia article and several others almost identical to it, telling us all about their heroic military service and their earning degrees from Hahvahd or Yale. But how much of this is true? The prime example of this is, of course, Hussein Obama (or whatever its name is). We are told that the creature was born in Hawaii and its father, Barack Obama Sr., was a Kenyan national attending school in the US, and its mother was one Ann Dunham, from a family that had close connections to the banking industry and to various government agencies. 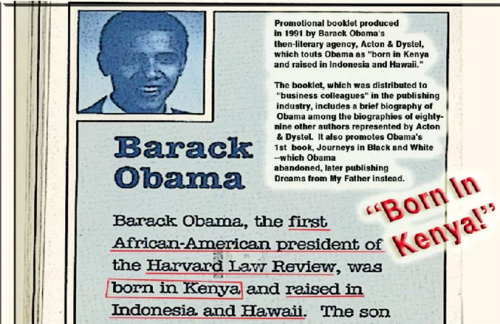 We are told that Hussein graduated from an exclusive high school in Hawaii and then earned college credits from Occidental and finally graduated from Columbia in 1983. It went on to Hahvahd Law School, where it was made President of the Hahvahd Law Review. Then it taught constitutional law at the University of Chicago before becoming a “community organizer” and then a politician. But, from the start, there were problems with this. Hussein released only its short form birth certificate, which requires no proof of birth or nationality. Why did it not release the long form, and silence those who doubted its US citizenship? After many delays, Hussein did just that, but as Sheriff Joe Arpaio and others have pointed out, the BC Hussein released was just a computer-generated composite, like its Selective Service card. For that matter, its alleged social security number is one issued only in Connecticut, where it never lived or worked. And its BC registration number was out of sequence, being higher than the numbers for two twins allegedly born the day after Hussein. A Hawaii official in a position to know all about this, one Loretta Fuddy, was, unexplainably, the only person to die in a light plane crash a few years ago. A few people remember Hussein sitting in on classes at Occidental, but there is no evidence that it ever passed a course there, or even graduated from high school. No one remembers it from Columbia…where are the books with titles like “I Taught History to a Future President,” or “I dated Barack Obama,” or “My Roommate, the President”? Or if no books, at least there would be some interviews with such people. Yet Hussein appears to have been invisible at Columbia, and also at Hahvahd, where no one has come forth describing it as a student, roommate, lover, etc. It wrote no scholarly articles for the Law Review there, yet was made President of that publication. No one has boasted of being Hussein’s student at the University of Chicago. Most likely Hussein is a Kenyan national; some Kenyan politicians have claimed this, and, recently, speaking in that country, Hussein described itself as the “first sitting American President to come from Kenya.” So a creature that may not even have graduated from high school became US President despite the illegality of a foreign national doing so (it may even to this day be an illegal alien). This means that none of its official acts are legal and binding…not Obama Care and not its judicial appointments, including those to the Supreme Court. But of course no one, least of all the cowardly and unprincipled RINOs, will make an issue of this. As to the question of why the Demoncraps would make an illegal alien a candidate, all we can say is that Hussein must be someone (or something) very special. While it was in the White House I even entertained the notion that it might literally be the Antichrist…that seems unlikely now. But it is not just Hussein who is a mystery. We have a pretty good handle on what Slick Willy Clinton is: a corrupt, sociopathic Southern Demoncrap politician, born in Hope, Arkansas. We know who his mother was (with Hussein we cannot be sure either of its alleged parents were for real). But who (or what?) was Slick’s father? His mother had married a man named Blythe, but he was stationed overseas with the military at the time Slick (born William Jefferson Blythe II 8/19/46) had to have been conceived. Blythe II died in a car wreck and Slick’s mother married Roger Clinton. Perhaps he was Slick’s natural father…but, if so, why the secrecy? And Slick, who never worked in the summers or during the school year, save for one summer clerking for William Fulbright, and had only one Rhodes scholarship, could not possibly have afforded four years at Georgetown and, later, three at Yale Law School. His mother and stepfather drank and gambled away all their income and would have been of little help. 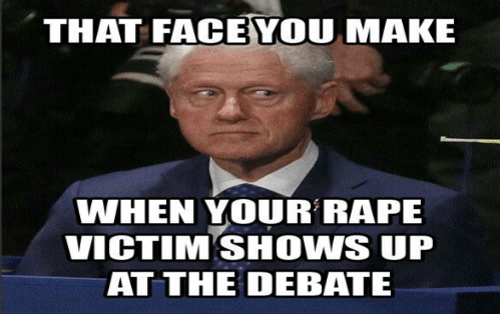 Someone very wealthy and powerful chose Slick Willy at least as far back as high school (to allow time to enroll at Georgetown) and was grooming him for some important job. Almost certainly he was aided by his natural father (a Rockefeller?) or because of who (or what) his natural father was. But the strangest thing about this whole sorry business is the fact that no one (least of all the slimestream media) ever asks these questions. With most of our other leaders we can be fairly sure of the broad outlines of their lives. But we have good reason to suspect that the official accounts have left out certain embarrassing details and have glorified their real-life exploits. Take Hanoi John McCain. Officially, he was the son of a four star admiral and graduated from the Naval Academy and naval aviation training, flew missions over North Vietnam, and was shot down, brutally tortured, and finally released. As a senator, he was mixed up in the savings and loan scandal, and, being a neocon, is a warmonger who supports every leftist cause there is. There have been persistent rumors (and perhaps that is all they are) that he collaborated from the very beginning with the North Vietnamese and received, not torture, but special treatment, including better food and living conditions. McCain served on the carrier Forrestal at the time of the disastrous fire that killed over 100 sailors. Officially, the fire was started by an electrical malfunction in a Zuni missile carried by one of the planes on the carrier. Unofficially, McCain, as a “joke,” did a “wet start” of his own F4E (starting it with a fuel-rich mixture). This caused a huge flame to spurt out the back of his plane, and the fire engulfed the plane directly behind him, killing his fellow aviator and “cooking off” its missile, which then set the larger carrier fire. 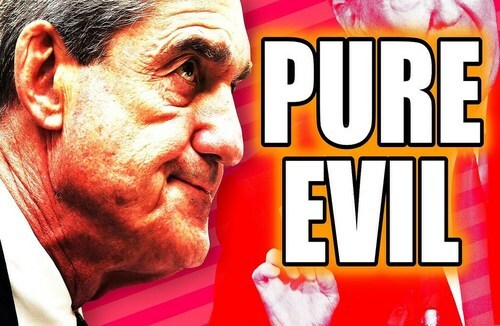 Then there is Robert Mueller, he who conducts endless and expensive “investigations” in the hopes of finding something, anything, that might be used to impeach or at least to discredit President Trump. Mueller was US Attorney in Boston when the FBI made murderous gangster Whitey Bulger an “informant” allowing him to carry on murdering people. Mueller became Director of the FBI a week before 9/11 and ignored reports of his own agents about Muslim immigrants taking flight lessons. He then orchestrated the FBI cover-up of the worst false flag mass murder in our nation’s history. Mueller is an accessory to the murder of nearly three thousand Americans, and is as guilty as if he had planted the bombs with his own hands. But, we are told, Mueller was once an incredibly brave and tough young Marine officer, who fought for his country in Vietnam, and who was not only a Marine, but also airborne qualified and a graduate of the Army’s brutal Ranger School. Maybe he was a USMC war hero. Maybe he was even an airborne ranger. Or maybe half his early history is entirely fictional. We have seen that Hussein may be, not a graduate of Hahvahd Law, but a high school dropout. 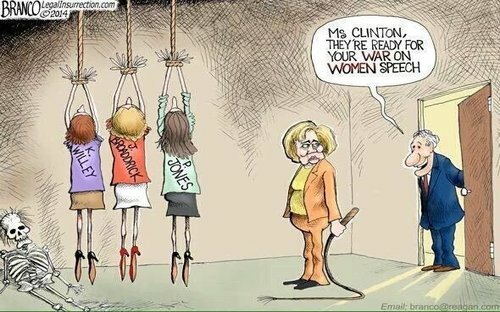 The Witch Hillary, worshipped by her followers, and considered to be a brilliant intellectual (all leftists are, by definition, brilliant intellectuals) allegedly graduated from law school, like almost all of our self-appointed elites, but failed the Illinoying bar exam. She passed the bar in Arkansas, but, almost certainly, that was thanks to Slick’s political pull. The Witch is a woman with, at best, a mediocre intellect. Peter Strzok, who put on a display of mind-boggling arrogance when the Senate dared question him, was, according to various web entries, a former US Army officer, and even a former member of the FBI SWAT Team; in short, a mighty warrior. But more recent biographies, like one on Wikipedia, say he joined the FBI in 1996 as “an intelligence Research specialist,” and there is no mention of his being on the SWAT Team. There have also been rumors of late that Strzok actually was a CIA asset, seconded to the FBI. Who knows? It has reached the point where anything the slimestream media says can pretty much be assumed to be a lie.